Content is king in the modern world of SEO. If you don’t have the time to manage your own blog writing services, you can contract with us to create original, valuable, and impactful content – without the headache of managing your own writers! We can provide you with well-researched, relevant, and professional content – either on a monthly basis, or “a la carte.” Our team of writers is always here to help deliver content on your terms, and on your schedule! Content marketing is a form of inbound marketing. Compared to traditional outbound methods like cold calls, sales visits and mailers, inbound marketing is much more effective. By creating relevant and informational content for your website, you can draw customers in. High-quality content can increase consumer trust and brand loyalty. With educational and informative blog posts, you can reach more prospects – and have a better chance of converting them to paying customers. Whether you need content for your website, on your blog, in downloadable documents, or you need it to conduct third-party guest blogging as part of your link building campaigns, quality content is at the heart of it all. If we had to choose a successful internet marketing strategy, blogging would be our first choice. We have seen our clients’ businesses grow exponentially with consistent blogging. When you decide to work with us, you will learn the techniques of using fresh content to engage your followers, establish long-term relationships, and attract quality clients. It doesn’t matter if you create the content yourself, we will still work with you to develop content that will help you stand out amongst your competition. We offer custom blogging services that ensure we work together in defining your target audience, the key topics, and your overall message. Afterwards, our dedicated writers will go ahead and write about topics with the highest value. Similarly, we provide a simultaneous content update at whatever frequency that is comfortable with you to keep your customers engaged. If you are already engaged in an email marketing and newsletter campaign, our blog content will complement these strategies. You can also publish the articles on other websites as guest posts and build your reputation as an expert in your field – this will significantly improve your search engine rankings. Signing up is totally easy. Just log onto our platform or give us a call. Give us some basic information about your company and desired niche – and we’ll start brainstorming great posts right away! After our research process, we’ll pitch several blog ideas for your approval. You choose your favorites, and our team of professional, native English writers will begin crafting spectacular, grammatically-perfect articles! Step 3 – Post It! We deliver our posts in HTML format for easy posting to your website. We can even upload them on our own with your permission – for a totally hands-off experience! 1. Who Chooses the Topics? You! Our team will only conduct research and topics relevant to your blog’s niche and attract an audience. After we complete our search, we’ll send them to you for approval. Any topic we come across that you don’t approve, doesn’t make it to your blog. 2. Is it OK If I Approve the Articles? Absolutely! We work behind the scenes to make sure your article is just as you envisioned. Before its publication, we’ll send you a draft for you to review. You have the freedom to send it back to us as many times as you like for edits. 3. Will You Take Care of My Posts? You bet! Once you’ve approved the article, we’ll be more than happy to post it to your blog. If you have WordPress, we can post it to your blog at no additional cost. 4. Can You Handle Writing About My Industry? Yes. Our team of highly skilled writers will perform an extensive research and only uses reputable resources. They will use the sources to create an article relevant to your niche and unique to your blog. 5. Do You Implement SEO Optimization? SEO is the key to driving traffic to your blog. Once we confirm your topic, we’ll look for topics in your niche based on number of shares, popular phrases, and keywords. 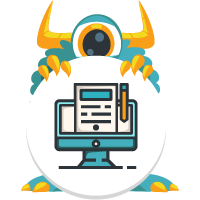 If you choose to have us post the article to your blog, we’ll do that for you and also install yoast plugin to optimize it. This gives us an opportunity to optimize each post with an SEO title, short URL, and focus keywords.